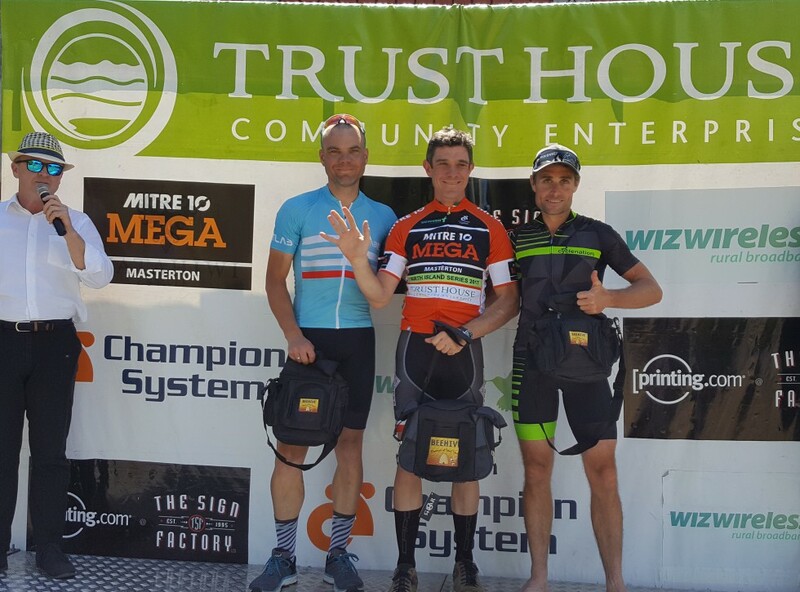 Hastings rider Josh Page won the overall elite title in the Trust House North Island team cycling series held in hot and sunny conditions in the Wairarapa yesterday. Racing on an undulating circuit on the outskirts of Masterton, Page finished the fifth and final race of the series in seven place behind race winner 2014 World Track Champions Luke Mudgway from Palmerston North. However Page had secured enough points to take the 2017 Trust House title ahead of team mate Matt Webb-Smith, both of whom were racing for the Tank Guy/Bikebox team. Race director Jorge Sandoval said there was a lot at stake in the elite grade heading into Sunday’s 120km race, which began at Henley Lake in Masterton and saw riders race towards Eketahuna via Whangeahu Valley and Alfredton before returning to the finish at Black Rock Road. “At the start of today’s race Madi Hartley-Brown and Matt Webb-Smith were equal on 68 points with Josh Page in third, only two points behind … any of these three riders could take the title,” said Sandoval before the race began. But, in the end it was Page who decide to chase a group of seven riders who had broken away in the last 10 kilometres. 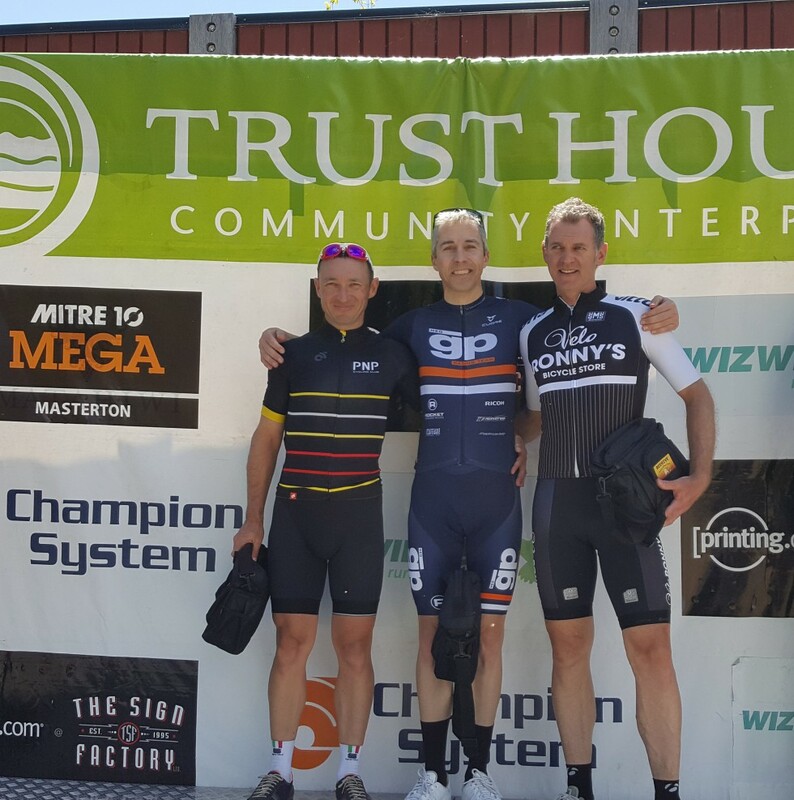 He won the bunch sprint taking precious points to be crowned 2017 Trust House elite men’s winner. The elite team title went to the Tank Guy/Bikebox team from Palmerston North. Brendan McGrath (Team Roadworks) won the 2017 Masters One title with Steve Bale second and Gary Hall in third place. The team’s title went to riders in Cycle Nation team from Hawke’s Bay. In the Masters Two race the winner was Wellington based Brent Backhouse (Meo GP) who managed to break away from the 70 strong bunch with three kilometres to go and held his seven second lead to win his second race in this year’s series. However, the real fight lay behind him with all race leaders fighting for the lead taken by former Olympian Gary Anderson (Velo Ronny’s Vittoria) with Huib Buyck (Total Home Theatre) in second place and Gary Hall (Cycle Nation) in third. The team’s title went to the Optimal Performance team. Gary Anderson took the 2017 tile for the grade with Huib Buyck second and Rob Kilvington from PNP team in third place. At the series presentation held at The Farriers Restaurant and Bar in Masterton, Mr Sandoval paid special thanks to race sponsor Trust House, other sponsors, the Ulysses motorcycle club and all the race officials. “We’ve managed to stage a great series and place the Wairarapa region as a true road cycling destination. All riders endorsed the new circuits with the series being well supported. In this year’s series we race to Ngawi and Tora in South Wairarapa, Rangitumau, Alfredton and Gladstone. We had over 250 riders take part over five races, most of them coming from outside the Wairarapa. This provided a good economic impact to the town. I will work hard to keep the series based here in the Wairarapa with a better, bigger event in 2018,” Mr Sandoval said.